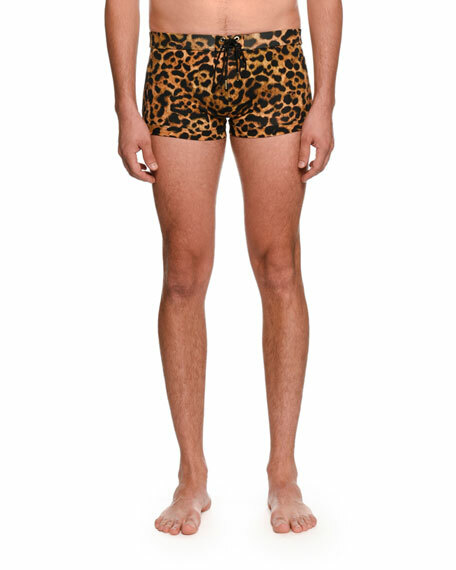 TOM FORD swim shorts in leopard-print. For in-store inquiries, use sku #2371672. 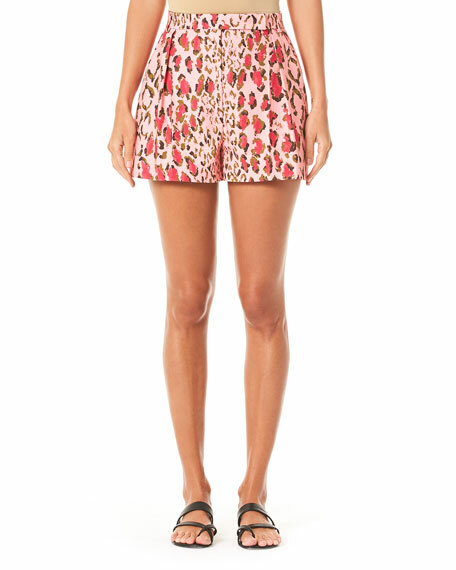 Lise Charmel "Corolle Fauve" shorts in exclusive floral motif. Elasticized band sits across hips. Relaxed, straight legs. Scalloped hem. Pull-on style. Polyester/nylon/spandex. Made in Bulgaria. 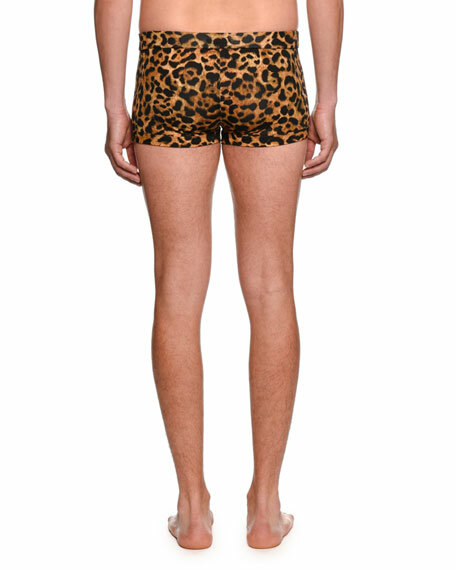 The Upside shorts in leopard-print performance fabric. Quick drying stretch fabric. Lined for added comfort. Side pockets. Back welt pockets. Contrast logo print at back. Nylon/spandex. Imported. The Upside "Sport Run" performance shorts with allover logo print. Soft, quick drying fabric with 4-way stretch. Natural rise; drawstring waist. Back besom pockets. Relaxed fit. Pull-on style. Nylon/spandex. Imported.